When Rockwell Tools introduced the revolutionary BladeRunner saw back in 2010, it immediately became a must-have tool for DIYers everywhere, including woodworkers, hobbyists, model makers, and craftspeople. 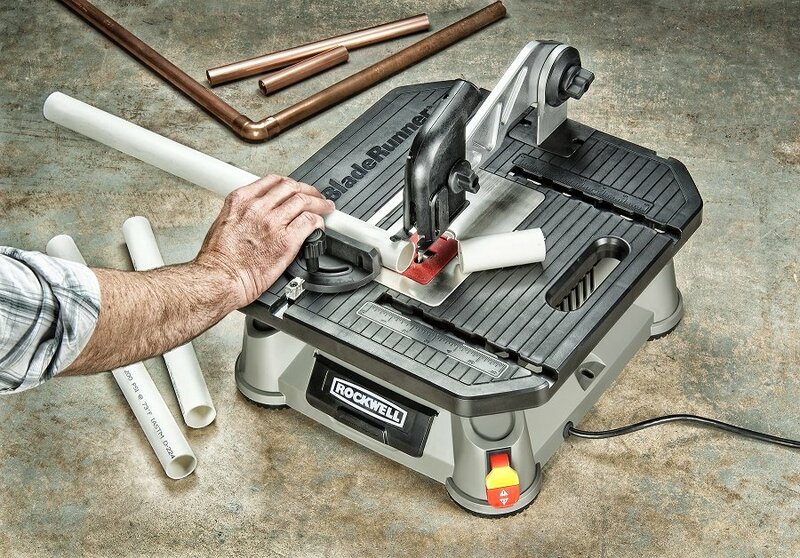 Not satisfied to rest on its laurels, Rockwell recently introduced the BladeRunner X2, a newly designed, feature-packed portable tabletop saw that’s sure to attract a whole new generation of hands-on homeowners. Just like its predecessor, the versatile new BladeRunner X2 accepts standard T-shank jigsaw blades and can perform a wide variety of cuts, including rips, crosscuts, miters and scroll cuts. And when fitted with the appropriate blade, it’ll slice through wood (up to 1½ in. thick), plywood, PVC pipe, acrylic plastic, steel, aluminum, even ceramic tile. The new Model RK7323 is driven by a powerful 5.5-amp, 3,000-strokes-per-minute motor. It has a generously proportioned saw table that measures 15¾ in. wide x 17 in. long, which allows rip cuts up to 6 in. wide. My favorite feature by far is the tool-less blade change mechanism that lets you change blades in a matter of seconds. To install a blade, depress the large red spring-loaded button on the saw table and slide it to the left. Insert the blade into the saw and release the button to lock the blade in place. To remove the blade, simply push the button, slide it to the left and the blade is automatically ejected; a feature I really appreciated when trying to change a blade that was very hot. The BladeRunner X2 comes fully equipped with a miter gauge, rip fence, dust-collection port, five saw blades, and a rear-mount control arm that incorporates splitter. 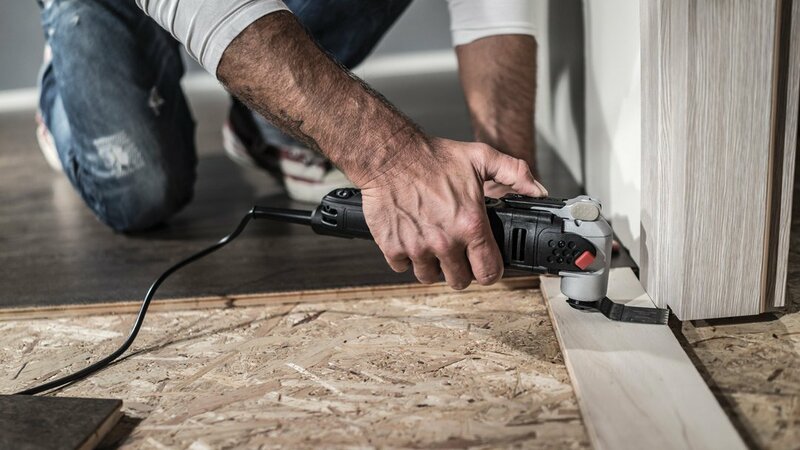 The splitter keeps straight cuts on track and helps prevent boards from pinching the blade. And set up couldn’t be easier. It took less than five minutes from when I opened the box until I made my first cut.